Two Lions And A Squirrel! 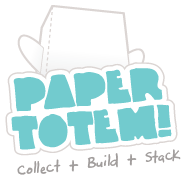 Remember the new project I was working on? Well... they have finally uncurled from heaps of brightly coloured yarn! Both are now waiting for adoption over at The Shiny Squirrel! 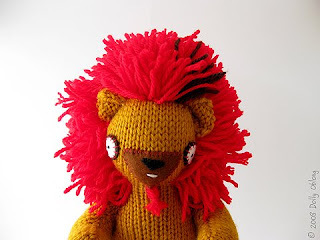 Want to adopt your own roaring lion? 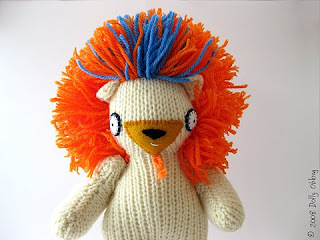 You can find red haired Colossus here and white and orange Ivory here. But not this fluffy cuddly Chestnut! Chestnut, the Christmas polar bear, is mad about marshmallows, snow cones, and everything else white and fluffy. 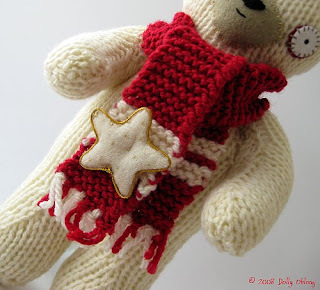 He also loves his comfy cozy red scarf which reminds him of Christmas all year round! Jingle Bell Jingle Bell Rock! So, looking for a Jolly Jingly way to decorate your Christmas tree or gifts? Then TreeDolly is just the guy for you! 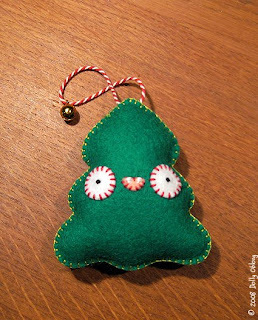 TreeDolly is a cheerful handmade felt ornament, made out of pure wool felt and 100% handsewn. He's dangling from a red and white festive string with a little golden bell attached to it for ultimate jinglyness! 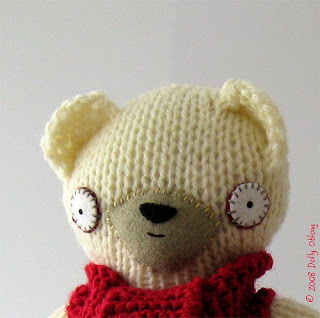 Want to adopt your own TreeDolly? Please click here! 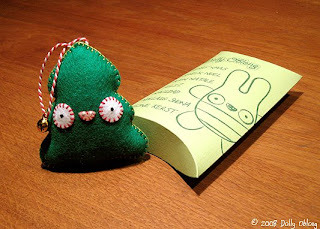 TreeDolly comes in his own nifty handmade packaging and measures approximately 7.5 cm (3") tall by 6 cm (2.4") wide.